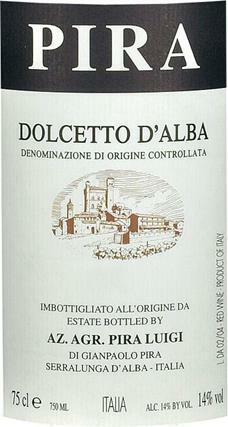 A concentrated Dolcetto from a noted Barolo producer. Floral aromas, dark fruit and smooth developed tannins. A great deal on an oak aged cooler vineyard red from the Dão with a succulent mix of red and black cherries in the front leading to a smooth earthy finish. Come help us get ready for fall. We tidying up our stock and clearing out a few items that for one reason or another just need to go. These are last bottles or overlooked stock that need to find a glass to call home so we can make way for new wines we want to bring in. You can blend them in with our regularly priced wines to get the discount. 3 days only! Limited Quantities! Looks like you can take “water the garden” off your to do list this weekend. But there is still plenty to do in Madrona. Our Labor Day Weekend Sale of “Stragglers and Orphans” is in full swing with lots good deals to be had on single bottles that need to find homes. And Saturday we’re pouring a faultless line up of wines from the Pfaltz. Skip the soggy crowds of Bumpershoot and come check out these great wines from Anselmann. Sunday, Mark will have two of some of the new wines that have arrived at the shop open for tasting. Come see what he picks to open, or show up early and influence his decision. And don’t forget to stock up for that Monday barbeque as we will be closed for Labor Day. The Pfalz is located between the Rhine river and the low-lying Haardt mountain range in Western Germany. It covers a neat rectangle of land 45 miles long and 15 miles wide. To the north lies Rheinhessen, to the south French Alsace. Here, the Anselmann family has made wine for over 450 years blending family tradition with more modern equipment to make classic styled German wines. This Saturday we’ll be pouring a selection of their wines. They vary from dry to sweet with solid acidity and Pfalz minerality running through out. The alcohol levels are modest and the prices are delicious. There is something for everyone. Come taste the lineup. Anselmann’s Auslese has an intense, fruity bouquet reminiscent of grapefruit, oranges, peaches and apricots. 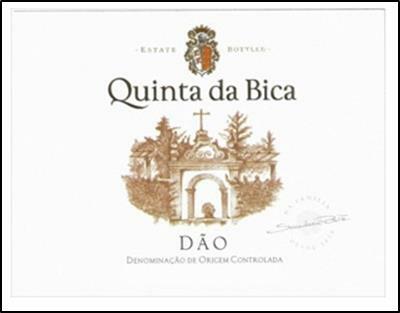 It is a terrific wine with impressive intensity, complexity and clarity. Sweet fruit notes and vital acid present themselves very balanced harmony. It is rich with a long lingering finish. 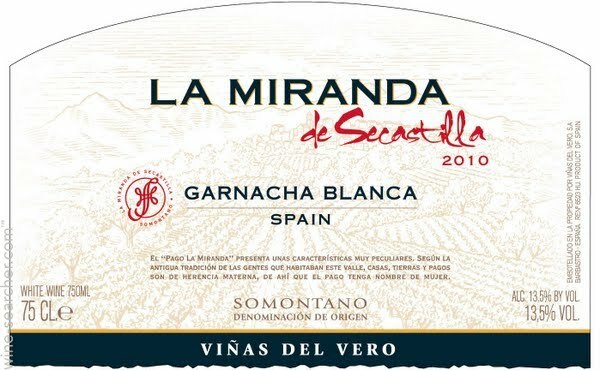 A full Spanish white with lots of body, citrus and herbal notes. Delicious with seafood or just by itself. A full old-vine Grenache with lots of dark fruit and spicy notes that is hard not to like. There is the 2.9 mile hopscotch contest through the CD that hopes to break the world record for the most people hopscotching (is that a word?) at the same time. See www.hopscotchcd.com. There is an all weekend Garage Sale at the corner of 34th and Cherry that needs to be perused. But most importantly there are two days of wine tasting at Madrona Wine. Saturday we are pouring some excellent deals from the Sunny State of California. That starts at 2 and goes until the bottles are gone. Sunday we’re showcasing the two sides of Spanish Garnacha. 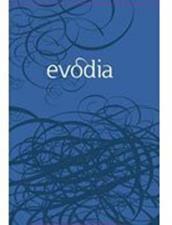 We’ll be pouring the La Maranda Grenache Blanc and the Evodia Grenache Noir. That’s all day, 11 to 5. Enjoy the sun and saunter on in. Wine from California is epitomized by the high end Napa trophy wines Like Screaming Eagle on one end and Two Buck Chuck on the other. In between these extremes there is a lot of quality wines at reasonable prices. This Saturday we’re going to sample just a few of these. To call them value wines seems a bit demeaning, but they are all great tasting and affordable. Come have a sip from the south. From Paso Robles Grey Wolf’s blend of blancs is a refreshing white with aromas of honey, lemongrass, and stone fruit. The palate is clean with bright lemon-lime notes, a bit of creaminess and a touch of minerality. From Paso Robles fruit, the Notorious is an easy drinking style Cab that is medium bodied with a refreshing, polished palate of flavors, this wine is a hedonist’s delight. Boysenberry and blackberry emerge first while the surprisingly soft tannins manage to support the steady procession of flavors without being overpowering. 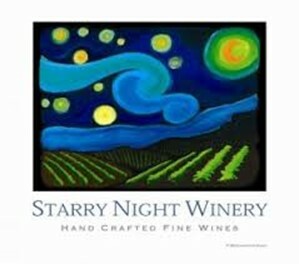 From Lodi, the Nightfall Petite is as dark as the night and as clear as a starry sky. This non-petite Petite has notes of black current, plum and roasted meat note along with some firm tannins. The Parducci family is no longer part of the winery that bears their name, but they are still making wine. Their Mendocino shows off the essence of the fruit. It exudes berry flavors and is infused with pepper and spice. It is a California classic. We gotta white, we gotta red. If we had a Vinho Verde (green wine), we’d have all the colors of the Italian flag. While we DO have a Vinho Verde, we won’t have it open for pouring. But come taste what we do have open. Rain or shine, we’ve got the wine to pair with food or weather. A great deal in a Veneto white. Full of lemony citrus and pineapple flavors. A Tuscan blend with big ambitions that settles back into modest enjoyment. Dark fruit and floral notes, and a good dry backbone. Chris Sparkman spent a couple of decades as sommelier and wine buyer in some of the U.S.’s best restaurants before locating in Woodinville and starting making a plethora of big, bold Washington wines (there are 21 wines in current release.) This Saturday we’ll be sampling a few of them with Sparkman’s winemaker, Linn Scott who will narrate the details of these distinct wines. Stop in and give them a try. This is bone dry Riesling is made in a sort of Alsatian manner, from German clones planted at Bacchus vineyard. It smells like apple, peach and pear decorated with delicate flowers, honey and spice and tastes like tree fruits, citrus and a touch of the tropics. It is a surprisingly unique wine. L’Autre is a Pinot Noir sourced from Temperance Hill Vineyard in the Willamette Valley. The 2011 vintage smells like the forest, of those delicate little mushrooms that grow at the base of huge old trees. Maybe some wild strawberries got smashed against the tree. The Kindred blends all five of the traditional Bordeaux varietals, but it is distinctly Washington. Loaded with earthy Cabernet Sauvignon and sweet oaky goodness, it opens with smoky black fruit and herbs on the nose and explodes with a spicy silky velvet texture across the palate, building to a long iron laced, chocolate covered blueberry lovebomb. From Klipsun and Ciel du Cheval vineyards, the Ruckus takes the wild game, bramble, stone and smoke of Red Mountain Syrah and fuses it with the black fruit, cedar, cigar box and iron of Red Mountain Cabernet Sauvignon to produce a rich, supple, layered soulful goodness. locus noun, [loh-kuhs]. 1. a place; locality. 2. a center or source, of activities or power. locus wines: Producing wines from varietals that best showcase their native climate and soil & the newest winery in Madrona. Locus is a brand new winery from two Madrona residents Rich Burton & Ton Yazici. (The tasting room is an unmarked garage on Madrona drive.) And judging from their first release there are good things ahead. Rich the wine maker turned his passion for wine into something more than just a passing interest. He got an Oenology certificate from Washington State University and started to plan making his own wine. This Sunday we’ll be showing off the results. Come meet Rich and Ton and give their wines a try. This crisp and tasty rosé might be our favorite Washington pink this season. Born and bred in the Wahluke Slope AVA near Mattawa, Washington, these grapes come from the Stonetree Vineyard. Stonetree Vineyard’s name comes from the large number of petrified tree fossils found in the surrounding hills. The climate and the soil produce a fruit-forward Syrah, balanced by a touch of spice. Locus’s Syrah lets the fruit speak for itself. We have two excellent tastings at the shop this weekend! Saturday–We’re pouring South African wines from Boekenhoutskloof. Come hear how many times we mispronounce it while you tip these great wines. That starts at 2. Locus is a brand new winery from two Madrona residents Rich Burton & Ton Yazici. (The tasting room is an unmarked garage on Madrona drive.) And judging from their first release there are good things ahead. Rich the winemaker turned his passion for wine into something more than just a passing interest. He got an Oenology certificate from Washington State University and started to plan making his own wine. This Sunday we’ll be showing off the results. Come meet Rich and Ton and give their wines a try.